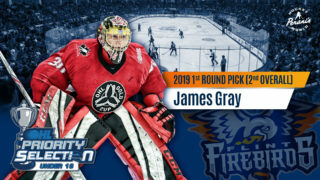 Flint – The Ontario Hockey League (OHL) is pleased to announce the appointment of Ryan Oulahen (pronounced Oh-Luh-Han) to Head Coach and Eric Wellwood to Associate Coach of the Flint Firebirds. Ryan Oulahen, 31, a native of Newmarket, Ontario has spent the last six years as the Lead Assistant Coach of the Brampton/North Bay Battalion, a team he competed for from 2002-2005, including one season as captain. Oulahen played for the AHL’s Grand Rapids Griffins for four seasons, including one season as captain and has been an Assistant Coach, Team Canada World Under 17 Challenge. Eric Wellwood, 26, a native of Windsor, Ontario has won three Memorial Cups, two as a player and one with the Oshawa Generals, where he has been the Assistant Coach for the last two seasons. 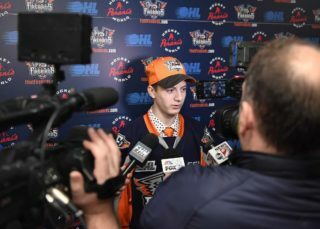 Wellwood played for the OHL’s Windsor Spitfires, the NHL’s Philadelphia Flyers and the AHL’s Adirondack Phantoms. 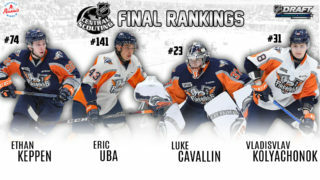 In addition, for three consecutive seasons, he was the OHL player named the Hardest Worker in the OHL’s Coaches poll.